Opera Max is a new updated version of Opera browser which will definitely help you save 50% of your data consumption by doing some serious stuff for you. All of us are already aware of the mobile Opera Browser, in early years we used it speed up our java operating system mobiles, which just quickly loads the webpage for us without waisting much of time and data. So the next point that everyone would get in his/her mind is How this stuff works? Opera Max is a free app that extends the life of your data plan by up to 50%, especially if you use video and image-heavy apps such as Vine, Instagram, Vevo or Flipboard. For example, if you pay $40 a month for a 1GB data plan, using Opera Max on your smartphone can allow you to consume up to 1.5 GB per month for the same cost. If you have a pre-paid data plan, pay per megabyte of use, or are roaming internationally, this app adds even more value. Opera Max is the only app that gives you significant data savings, including video, which makes up a big chunk of data usage and most apps. All this for free! Once you download Opera Max, it instantaneously starts compressing and rerouting data using a Virtual Private Network (VPN) to the data-savings cloud. All non-encrypted data requests (excluding websites and apps with HTTPS connections) are sent through our compression servers, which optimize video, images and websites to use less data. 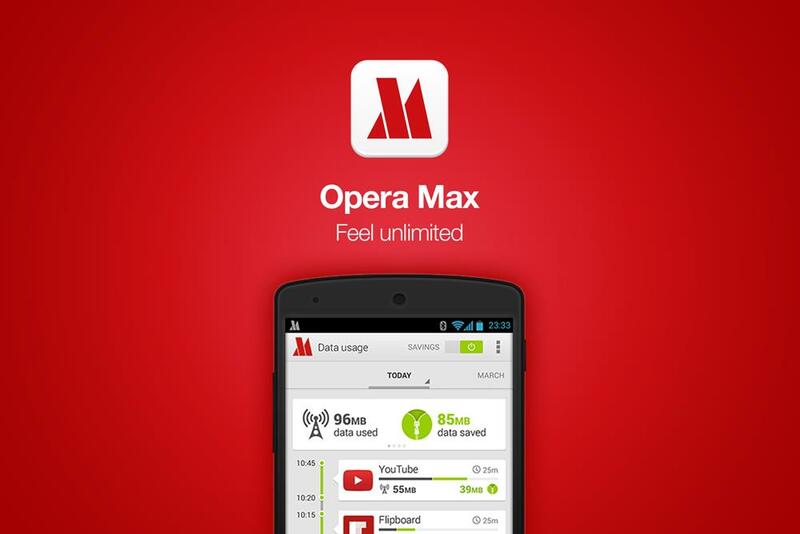 Opera takes privacy* very seriously so Opera Max only measures how much data you use and how much data you’ve saved. Opera Max’s unique user interface gives you a timeline of your apps usage and how much you saved because of Opera Max by month or by day. Your timeline will show usage and savings by individual app as well as in total. As users gravitate heavily toward mobile data, specifically apps that are image and video heavy, data usage across these apps piles up in no time. Compression and optimizing mobile data is key to giving users a better experience and increased cost efficiency. Mobile video traffic was more than 50% of overall mobile data traffic in 2013**. Vine, Instagram, YouTube… it’s all about video nowadays. Video uses a lot of data, and we make videos lighter, which means you can watch more video and get a better user experience. Opera has a long history of innovation with compression, being the first to launch a mobile browser, Opera Mini, in 2005 that compressed browser data. Opera Mini has gone to become one of the most popular mobile browsers and has 248 million users globally today. Opera announced pre-registration for Opera Max on February 18 and since then has received an overwhelming response for the app. Right now only beta version is available for Android users.